In a last gasp of summer, I discovered I still had a small amount of fresh plum compote on hand, so I set out to make some cookies. Among an old stack of recipes, I found these little gems calling out for my attention. They fit the bill perfectly. 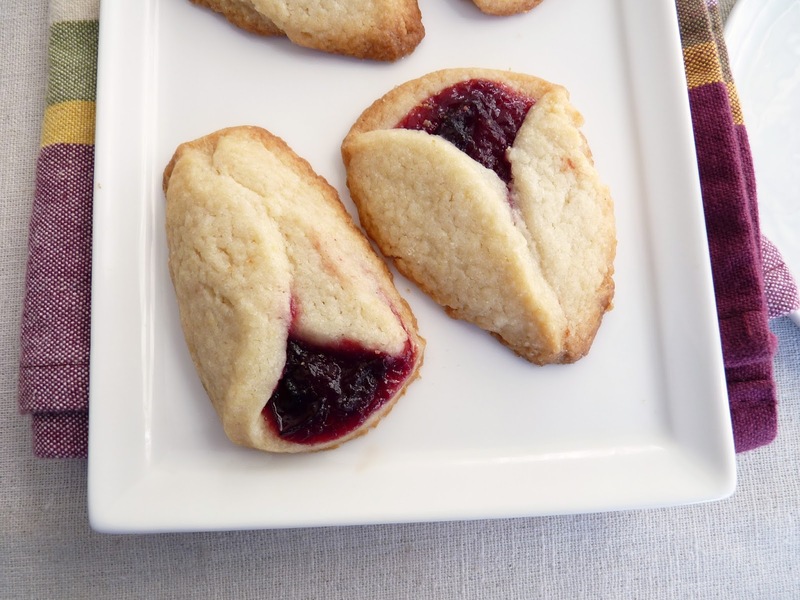 Jam Fans are little shaped pastries made from a simple dough that includes a bit of cream cheese and lemon zest to perk it up. 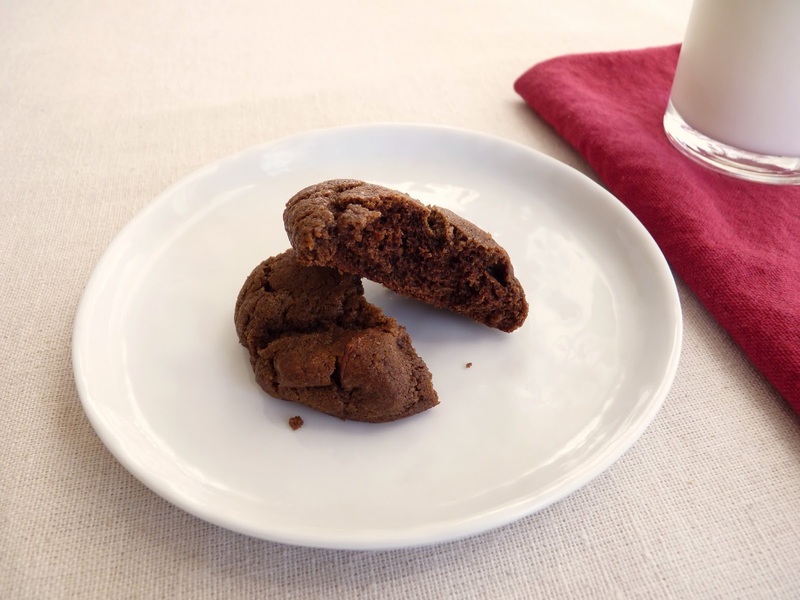 I reduced the sugar as they were a bit too sweet for me but the cookies are not overly rich or heavy. Perfect when you want just a little something. 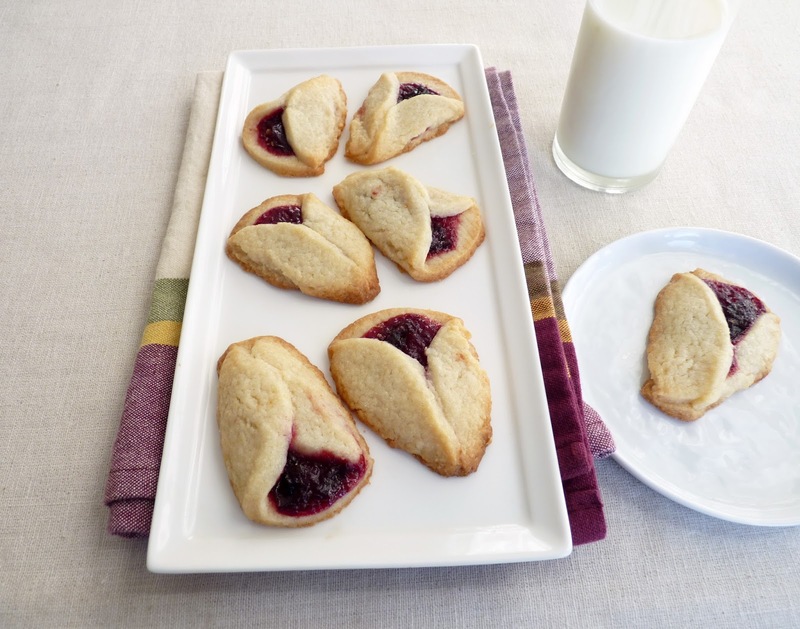 The finished cookies are buttery and crisp with just a nibble of fruit. Use your favorite jam or a mix of your favorites for a jeweled platter. They’ll disappear quickly. I advise you to make sure you squirrel away a few for yourself. - When the cookies are stored in an airtight container, they will soften, so I made a half recipe of 22 cookies. For the full recipe, see the original recipe, Lemon Blueberry Fans. 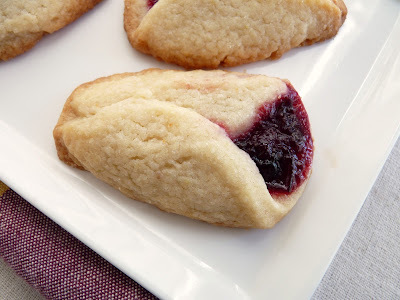 - Resist the temptation to use more than a scant 1/2 teaspoon of jam on each cookie. Any more than that and it tends to spill out as it bakes. - If your dough cracks a bit as you fold it over, not to worry. Just pinch it together to seal it. - These are baked at a higher temperature so watch them closely to prevent over browning. - More jam cookies: Pecan Raspberry Thumbprint Cookies and Peanut Butter & Jam Cookies. Whisk together flour, cornstarch and salt. Set aside. Cream softened butter, cream cheese and sugar together until light and fluffy. Scrape down the bowl. Mix in lemon zest and vanilla. Add flour mixture and blend thoroughly. Place the dough on a piece of plastic wrap. Cover it with another piece of plastic wrap and roll it out to an 1/8" thickness. Place on a baking sheet and chill for 2 hours. Preheat oven to 375 degrees F. Line baking sheets with parchment or silpats. Cut out cookies using a round 2 1/2” cookie cutter. Place the rounds 1” apart on the prepared baking sheets. Spoon 1/2 teaspoon jam onto the center of each cookie. Shape into fans by lifting the opposite sides of each circle up over the jam and pinching them together about 2/3 of the way, forming a point at one end. Bake until the bottom edges are lightly browned, about 8 - 10 minutes. Transfer to a wire rack and cool completely. It’s not really officially fall until you bake with apples. Even though I have apples on my table every day of the year, they really symbolize the fall season for me. This was especially true when I worked in professional pastry kitchens. The first delivery of cases of apples was the moment we knew we were turning a corner and would be peeling and coring and slicing for quite a while. But I never tire of them and I think we'd all agree that it’s important to have the aroma of apples and spice emanating from your oven and floating throughout your home to truly experience September. So get out your peeler and let's make some apple pastries. 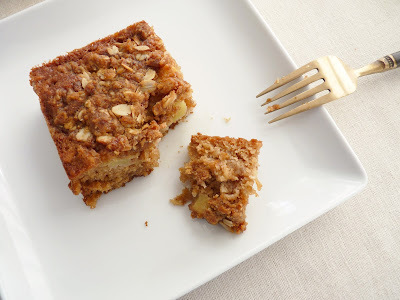 My first fall baking project is this Apple Cinnamon Oatmeal Cake. It's loaded with oats for texture and taste; lots of cinnamon, allspice and nutmeg for intoxicating depth; and, of course, a couple of lovely apples to inaugurate the season. It’s an oil cake, which means it gets mixed quickly in a bowl, has an open tender crumb and is full of moisture. 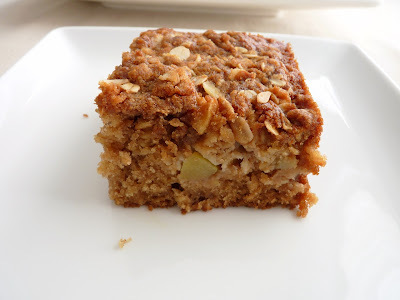 I let the oats soften in apple juice for just a few minutes to make sure the cake isn’t too chewy and I’ve added an oat streusel to top it off. 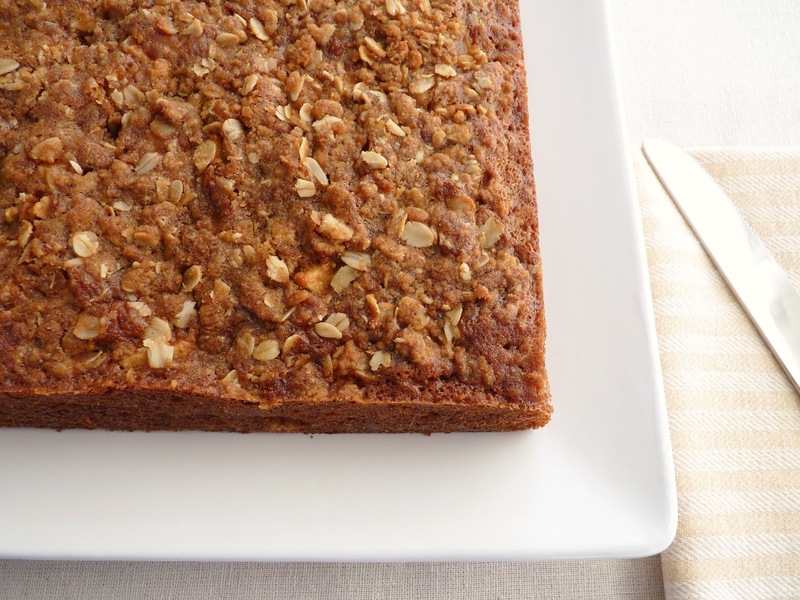 Like all spice cakes, it tastes even better the next day. This is the sort of cake that is perfect for brunch, afternoon snack with friends or as a gift to anyone you love. I think finding a small slice in your lunchbox would take the edge off of any day. Add a scoop of vanilla ice cream or a dollop of brandied and cinnamon laced whipped cream and it will do quite well for dessert as the cold drifts in and the heater kicks on. It usually takes me a while to get into the hang of the transition between seasons. I guess I don’t want to let go of all the bounty of spring and summer, the light moments and cool breezes and grabbing an outdoor table for a lazy lunch. But fall has its own magic. There are so many delicious varieties of apples and pears and then pumpkin, cranberries and pomegranates make their bright appearance. And, yes, there’s always nuts and chocolate. So let's get in the swing. ‘Tis the season for the comfort of apples. - I used Gala apples. Fujis would also be great. - Although there are a few bowls involved, this cake goes quickly if you prepare your mise en place (all your ingredients measured or weighed out and ready to assemble). - Dice the apples into smallish chunks, somewhere in between 1/4” and 1/2”, to ensure they soften in the time the cake bakes. - I use old-fashioned oats, not the quick variety. The oats and apple juice should only be combined for about 5 minutes. You want them to be moistened but not mushy so there’s still some chew to them. - The cake takes more than the usual amount of salt because of the oats. Otherwise the flavor will be flat. 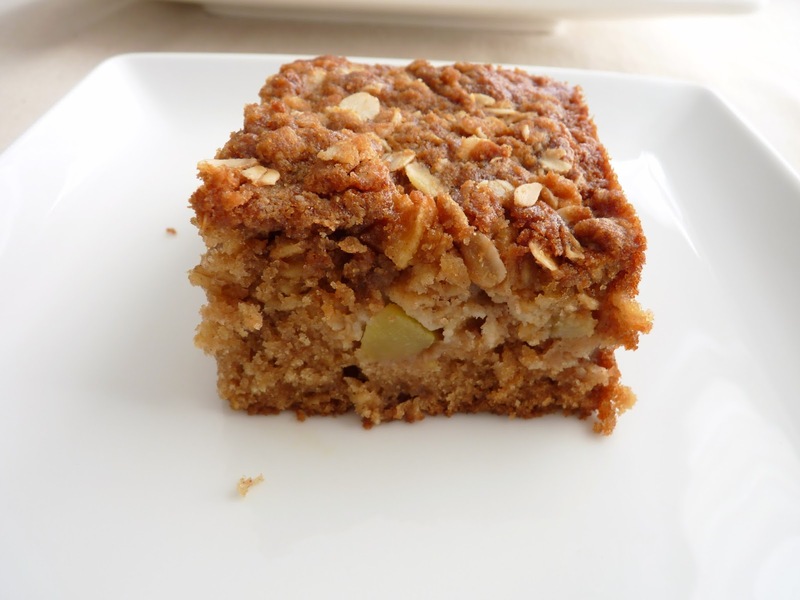 - The batter is thin but once the apples are added, the streusel distributes nicely over the top. - More ultra delicious apple pastries: the sublime Bolzano Apple Cake, Apple Toffee Bars, Apple Cider Sauce Cake, Apple Cinnamon Scones, Apple Dumplings, Apple Cranberry Turnover, Apple Lattice Galette and Apple Brown Betty. 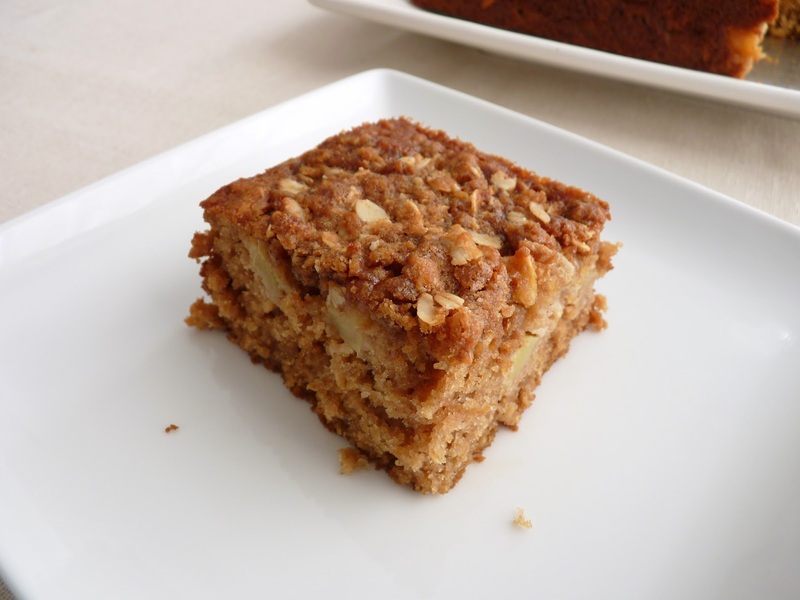 There's also Apple Cinnamon Cake from my ecookbook, The Global Pastry Table. Preheat oven to 350 degrees F. Lightly grease a 9” square cake pan and line with parchment, leaving a short overhang on two sides. To prepare the streusel, mix the flour, oats, brown sugar and spices. Cut the cold butter into 1/4” pieces and add. Toss until coated with the dry ingredients and drizzle the molasses. Using your fingers or a fork, press the butter pieces until they break off into smaller pieces and the mixture clumps together and is crumbly with large and small chunks. Chill until ready to use. Peel, core and cut the apples into small cubes. You should have about 2 cups. Toss the apples with lemon juice to prevent browning. Set aside. Whisk together the flour, salt, baking soda and spices. Set aside. Combine the oats and apple juice and set aside for about 5 minutes. In another bowl, whisk the oil, both sugars and eggs until thoroughly blended. Add in the vanilla and oat and apple juice mixture. Mix in the dry ingredients in 3 additions, alternating with half the milk and beginning and ending with the dry ingredients. Mix just until there are no dry streaks of flour. Fold in the chopped apples. Pour the batter into the prepared pan and spread it out in an even layer. Sprinkle the streusel evenly over the top of the batter. Bake until a toothpick inserted into the center comes out clean, about 34 - 36 minutes. Remove from the oven and place on a wire rack to cool completely. Run a thin-bladed knife around the edges of the cake. Gently lift it out of the pan using the parchment overhang to assist. Using a platter, flip the cake over and peel off the parchment. Use another plate or platter to flip the cake right side up. There’s been a heat wave in my part of the world, which calls for drinking lots of cool water and a good iced coffee or tea whenever possible. And then there's ice cream, gelato and sorbet. As far as ice cream goes, once we feel pleasantly satisfied with the simple glories of vanilla and chocolate, there is a certain restlessness to explore other flavor combinations and possibilites. The beauty of buying an ice cream machine and making your own is not only the freshness but also the prospect of so many flavors and textures. You can control the level of sweetness and fat, play with lots of intriguing additions and keep on going. I’ve done a fair amount of experimenting here as well as in my cookbook, where I feature some of my favorite blends. Today’s journey is another iteration of some of my beloved flavors. I love coffee and nuts and I also love creamy and I love crunchy. So I set to work on putting these all together. 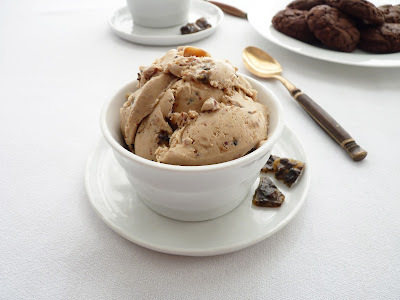 The result is a toasted almond and coffee gelato with an addition of some of Joanne Chang’s caramel coffee brittle, which adds a crunchy sensation of sweet and bitter. I like the texture contrast but the gelato is also delicious without it. I hope you’re cool wherever you are, enjoying a scoop of your favorite ice cream, gelato or sorbet. - Make the coffee brittle first so it has time to cool and set up. I used 1/2 recipe from Joanne Chang. You’ll have some extra but it keeps well in an airtight container and you can garnish plain vanilla ice cream or enjoy with a cup of coffee. *I use medium high heat and watch it closely. *To prevent crystallization, have a glass of water and a pastry brush handy to wash down the sides of the pan a couple of times as the sugar is heating up. *Do not stir caramel while it's cooking. *Never turn your back on caramel once it begins to show the slightest hint of color. For better control, I like to let it get to a medium amber or honey color and when it starts to smoke, I take it off the heat. At this point, the temperature of the caramel is so high it will continue to cook, darken and smoke. When it looks like it’s reached the right color after about another minute or so, I add the next ingredient to stop the cooking. *Once caramel starts to get near the right color, there are 2 ways to stop the cooking process: from below and from above. To stop the cooking of caramel from below, you can set the bottom of the pan in ice water to cool off the pan. However, it will stop cooking much faster if you cool from above, which means adding another ingredient, such as room temperature cream or water. For caramel syrup, you would add water. For caramel sauce you would add various ratios of cream and butter or orange juice, liquor, cider or other flavored liquid. *Once you add another ingredient, You can expect the mixture to expand and sputter quite a bit for about a minute, so caution is in order. Make sure the pan is big enough to contain the expansion and sputtering. Wear an oven mitt or rubber glove if you’re worried about getting burned from the caramel or from the steam. 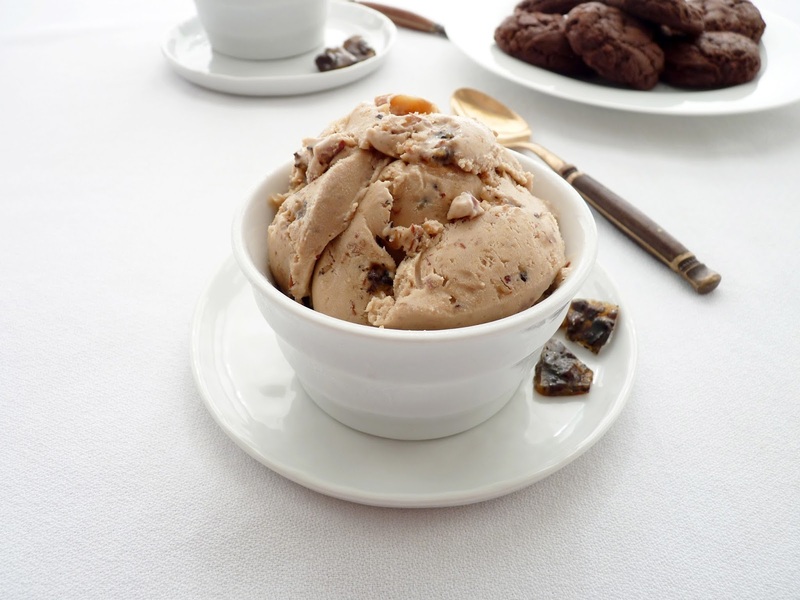 *Ingredients added to stop the cooking should be at room temperature to avoid seizing the caramel. - Cornstarch soaks up water and inhibits ice crystal formation. Egg yolks also usually perform that function but I wanted to make this without eggs. - Toast the sliced almonds in a single layer on a baking sheet in a 350 degree F oven for about 6 - 8 minutes. Watch them closely as they will burn very, very quickly. 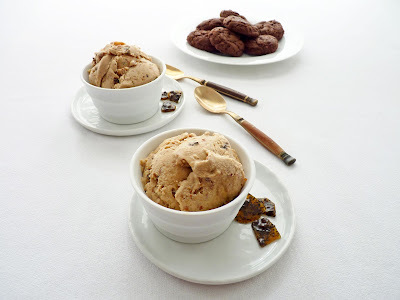 - Homemade ice cream and gelato don’t have any commercial emulsifiers or additives. So, depending on the level of sugar and fat, a fresh homemade batch usually needs to sit at room temperature for a few minutes to soften up for the best enjoyment. 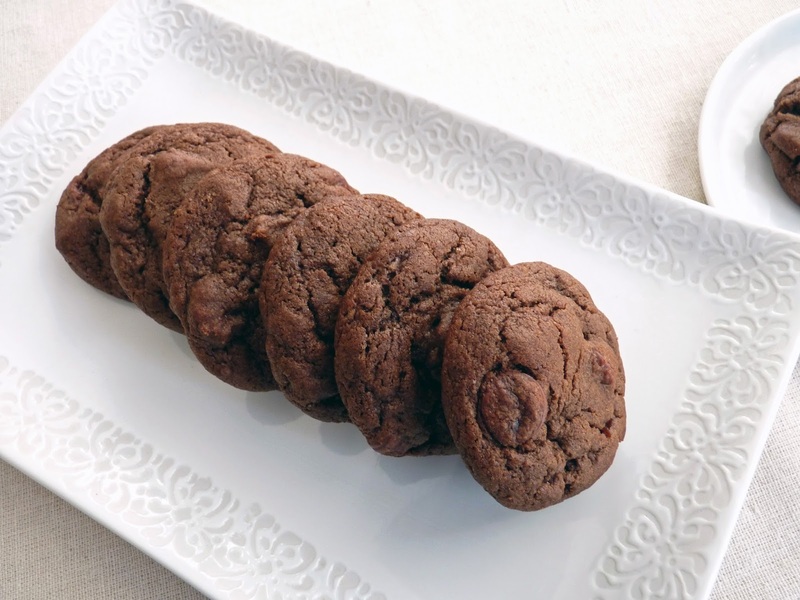 - The cookies featured in these photos are Saucepan Fudge Drops. For the coffee brittle, line a baking sheet with a silpat or lightly greased parchment. Crush the coffee beans with a rolling pin or a grinder to medium-fine crumbs. Combine the sugar and water in a heavy saucepan and bring to a boil over medium high heat, washing down the sides with a pastry brush dipped in water. Cook until it turns light amber. Add the crushed coffee beans (it will foam up a bit), swirl them around in the caramel and continue to cook until the caramel turns a medium amber. Remove the pan from the heat and carefully whisk in the butter and a slight pinch of salt (it will sputter a bit). Immediately pour the brittle onto the prepared baking sheet and quickly tilt the baking sheet to get the brittle to flow into a thin layer. It’s very hot so be careful not to let it splash on you. Working quickly, use a metal spatula to spread it into an even thin layer. Cool completely. Place 2/3 of the cooled brittle in a plastic bag and break it into small pieces by smashing it with a mallet or rolling pin. Break the remaining brittle into shards and use them as a garnish. For the gelato, place the heavy cream, 3/4 cup milk, toasted almonds, both sugars, instant espresso powder and a pinch of salt in a saucepan. Whisk remaining 1/4 cup cold milk with cornstarch until smooth and set aside. Simmer the cream and nut mixture on medium low heat until the sugar is dissolved. Add the cornstarch slurry and cook for 2 – 3 minutes, stirring constantly, until slightly thickened. Take off the heat and add almond extract. Taste and adjust for salt, if needed. Pour into an airtight container and cool. Cover and place in the refrigerator until thoroughly chilled. Freeze according to your ice cream maker’s instructions. Fold in the crushed coffee brittle. Pour into an airtight container, packing it down to eliminate any air pockets. Press a piece of plastic wrap on the surface, cover and place in the freezer to firm up. 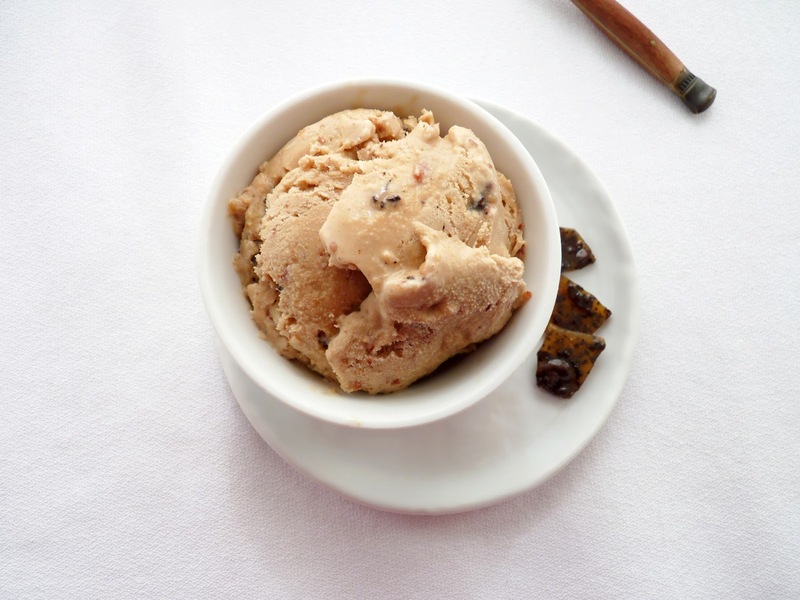 Let the gelato sit at room temperature for a few minutes to soften up before scooping and serving. 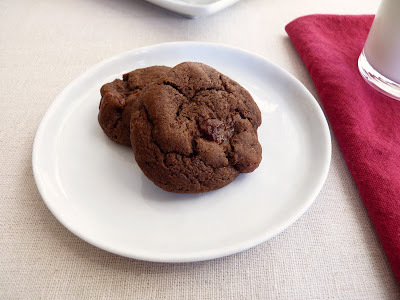 Every now and then you need a chewy cookie. There’s no doubt that crumbly shortbread and crispy butter cookies are the stuff of dreams. There’s something about a crunchy texture that does the trick. But sometimes a chewy cookie also clocks in quite well on the cookie meter. 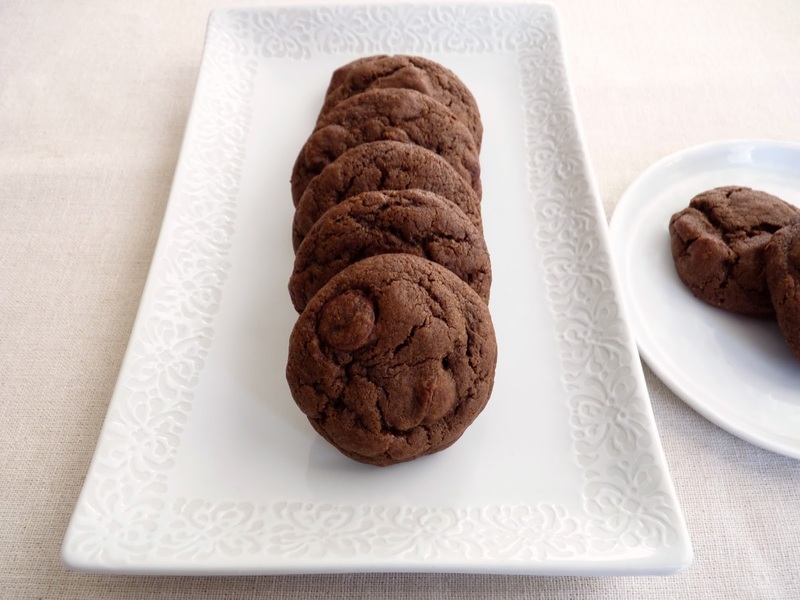 This is a chocolate version of a chewy cookie that is made with cocoa for an earthy chocolate richness and brown sugar for flavor and soft texture. There’s also a good bit of cinnamon and some caramel chocolate chips to ramp it all up just perfectly. The cookie dough is mixed in the conventional way by first creaming the butter and sugar and then adding an egg and the dry ingredients. I recommend chilling the cookie dough overnight if you can to make sure everything has a chance to co-mingle properly. Bake them for just 12 minutes and then give them a try. I suggest a nice cup of coffee or cold glass of milk as your partner. - I like to let cookie dough chill overnight to allow the flavors to develop. - Once you add the flour, do your best not to overmix. I usually take cookie dough and cake batter off my mixer just right before they’re completely and fully blended and then finish the mixing by hand. - For even baking and browning, I bake one cookie sheet at a time in the center rack, rotating the baking sheet halfway through. - It’s hard to tell when a chocolate cookie is done because you often can’t really see the browning. For this cookie, it’s better to be slightly underdone or you risk having a dry cookie. I bake these for 12 minutes. 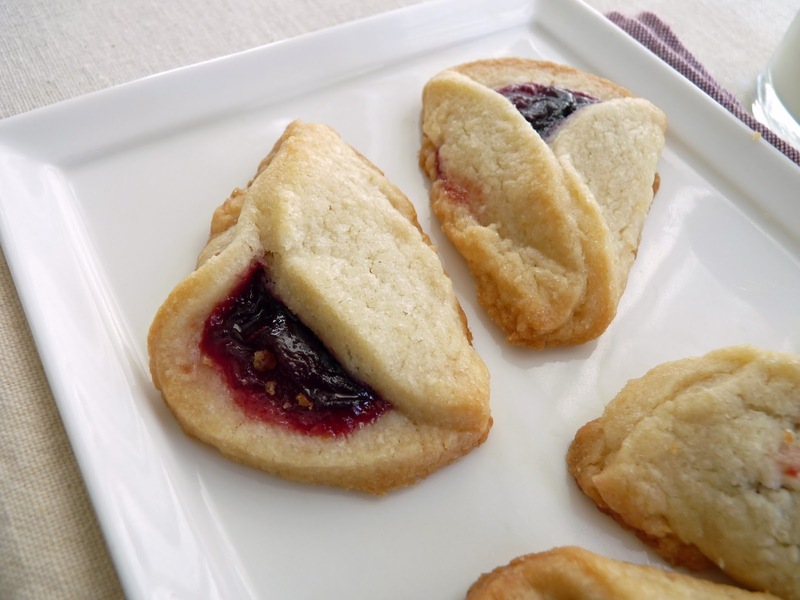 If you’re unsure of your oven, you can try a couple testers before you bake the whole batch. - Full disclosure: I did some recipe consulting in May 2014 with Nestle’s development team on their new Toll House chocolate chip flavors. However, I have not been compensated in any way for the use of their caramel chocolate chips in this recipe. I really do like this product and would never recommend any ingredient I did not feel to be worth trying no matter the nature of my association with product representatives. Sift the flour, cocoa powder, baking soda, salt and cinnamon. Cream the butter and both sugars until light and fluffy, about 2 – 3 minutes, scraping down the bowl once or twice. Add the egg and mix thoroughly until fully incorporated, scraping down the bowl. Add the vanilla and mix. Add in the flour mixture and blend until there are no dry streaks. Mix in the chocolate chips. For optimal flavor, place the cookie dough in an airtight container and chill overnight. Preheat the oven to 350 degrees F. Prepare two baking sheets with parchment or silpats. Shape the cookie dough into 1 1/2” balls and place 12 on each baking sheet. Bake for 12 minutes, one baking sheet at a time. Place the pans on a wire rack to cool.